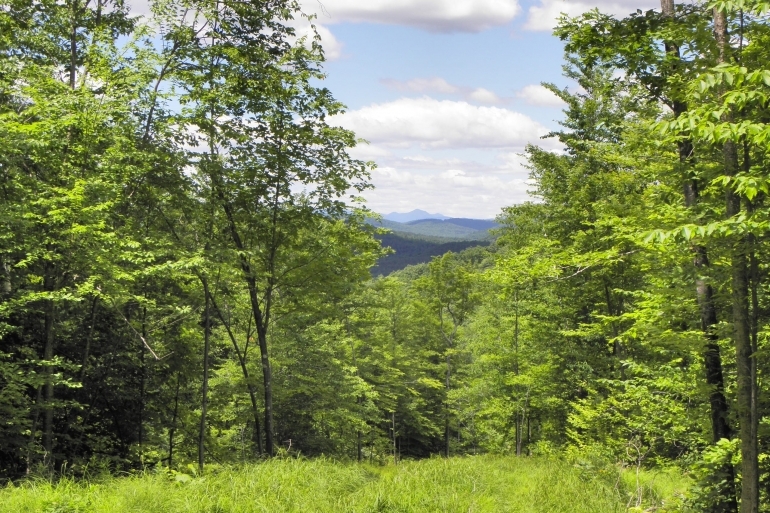 Located in a quiet corner of southern Maine, between Sebago Lake and the White Mountains, this forest offers long-distance views, gently rolling terrain and town-maintained road frontage. Merrill Mountain Forest is located in South Hiram, Maine, a few miles north of Route 25 between the New Hampshire border and the Saco River Valley of southwestern Maine. Sebago Lake is approximately 20 minutes to the east and Portland is less than an hour away in the same direction. 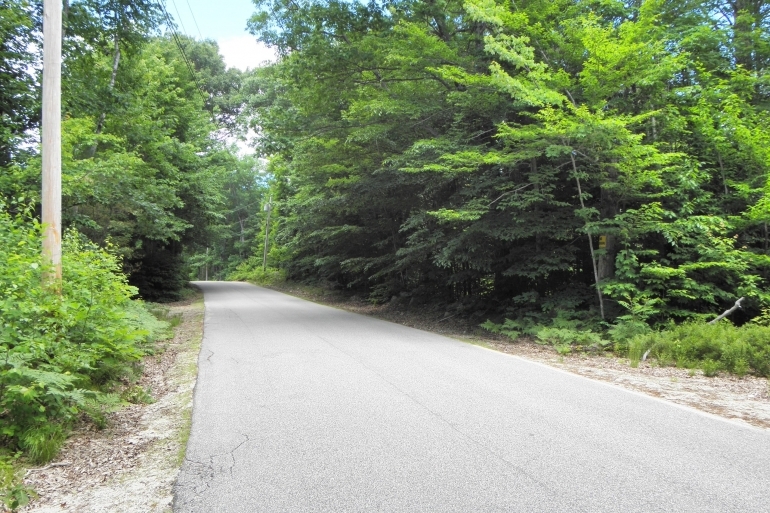 The tract has over 3,000’ of frontage on Tripptown Road, a paved, town-maintained road with utilities. Several former logging trails offer good internal access to nearly all corners. The terrain slopes moderately towards the south-southwest, with areas of steep ground near the summit of Bill Merrill Mountain. 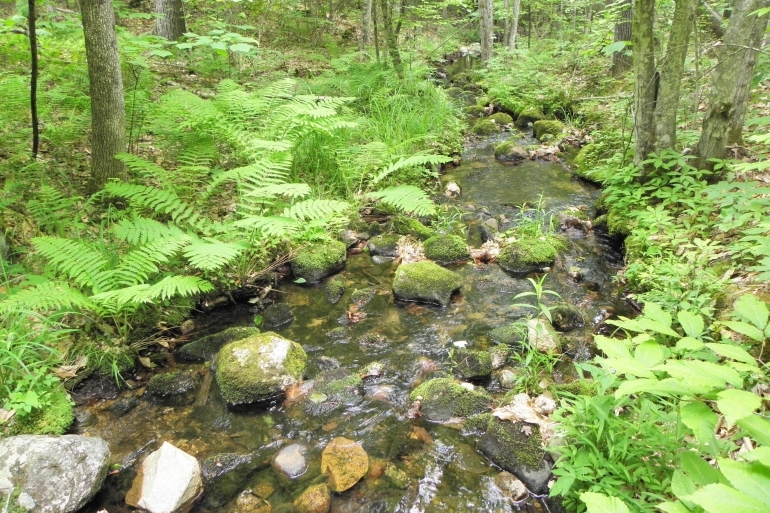 Soils are predominantly well-drained, with the origin of Wadsworth Brook emanating from the upper reaches and traversing the east side of the tract. The area closest to the road offers the gentlest terrain, mostly dry, with several potential house lot options identified in a preliminary subdivision plan. 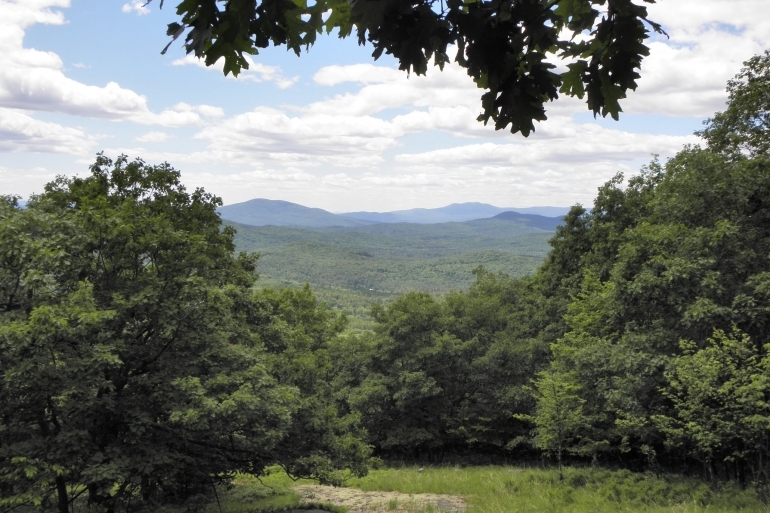 Exceptional long-distance views are possible at the mid to upper slopes of the tract. 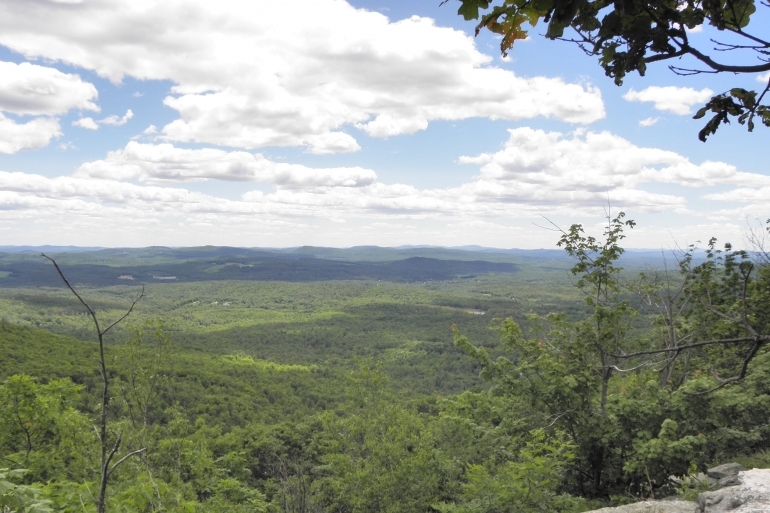 A rocky outcropping near the summit offers 180-degree views to the east, south, west. The best views along the ridgeline are accessible by foot only. The forest supports a hardwood composition of red oak, maple (hard and soft), yellow birch and beech, with a modest mix of softwoods – white pine, eastern hemlock and red spruce. Recent harvesting has left a forest growing in various size classes, predominantly in the pole and small sawtimber stages. Logging trails are well-stabilized and offer excellent means to enjoy the forest interior.